﻿Spring is in the air. Are you feeling overwhelmed yet? Ahh Spring. The air is getting warmer and the days are getting longer. The cherry blossoms have come and gone and the azaleas are now in full bloom. And baseball is getting into full swing. In the DMV, Springtime is a special time of the year, filled with beauty, traditions and rituals. For many, one of those rituals is spring cleaning, an opportunity to open up and freshen up your home for the summer activities ahead. Out with the old, and in with the new. 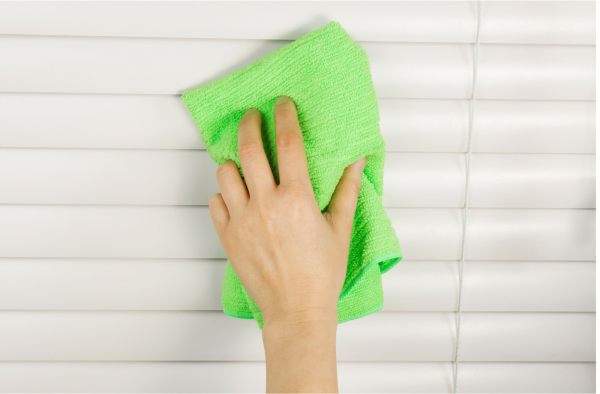 Sounds great, but spring cleaning can be an overwhelming task. Spring is that time to perform all the deep cleaning rituals you have likely neglected over the last few months. Dusting. Vacuuming. Windows. Carpet and rugs. Drapes and blinds. And don’t forget the ceiling fans. Spring is that time to clean out the closets. Winter clothes in the attic. Summer clothes in the drawers. Does everything still fit? And Spring is that time to clean out the garage, shed or storage space. Do you still need all those kids toys? The exercise bike? Your old albums? Now is the time to donate some of those items to your local charity. Or maybe have a community yard sale. With so much to do, it’s easy to see why many homeowners start to feel overwhelmed. Here’s some suggestions that might help. Spread it out. Why feel pressured to get it all done in one day? Spring cleaning can be a huge challenge. Spreading the chores out over a month or several weeks will ease the burden. Create a checklist. A checklist can provide a complete picture of all the tasks you wish to accomplish. Consider organizing the list by room, with specific areas that need attention. Crossing items off your checklist as completed can provide a sense of accomplishment. Set a time limit. Sometimes, it’s easy to get lost in the task at hand. Or get distracted. And time slips away. Review your checklist and set a time limit for each task, and stick to it. Sticking to time limits will help keep you focused, and on schedule. And be sure to schedule breaks between tasks to stay motivated and energized. Have fun. I understand, cleaning the house does not usually fall into the category of “fun” activities. But there can be a tremendous amount of satisfaction and joy in enjoying your “fresh” home. Get the kids involved. Delegate the tasks. Celebrate spring, and a job well done. Then, you can move outdoors to the lawn and garden.